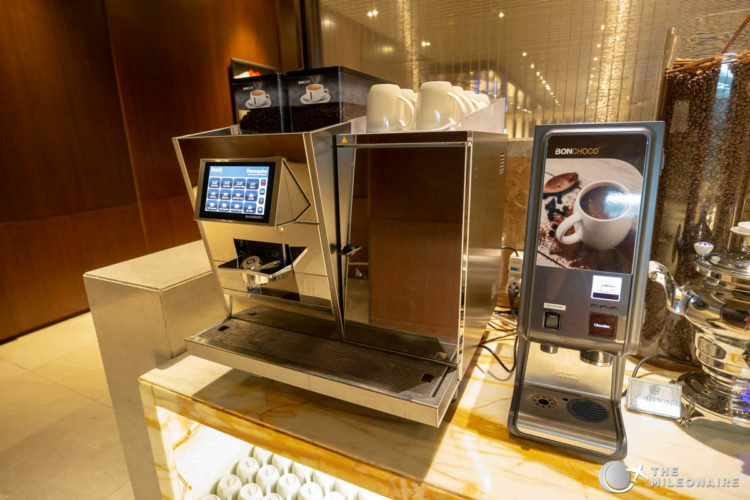 I’m rarely excited these days to visit new lounges, but this one was different: what would it look like when the world’s most-awarded airline has a lounge at the best airport in the world? 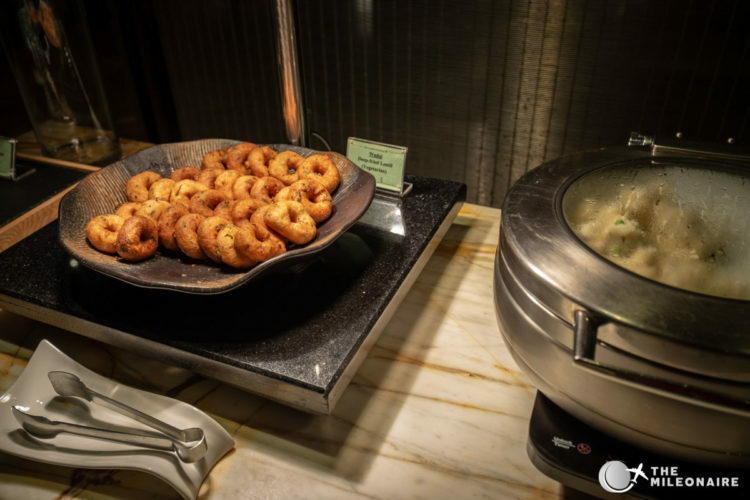 This May I was finally able to visit the Singapore Airlines SilverKris Lounge at the beautiful Changi Airport in Singapore to experience this exciting combination myself – and I wanted to share my review and (tons of!) photos in my trip report below! 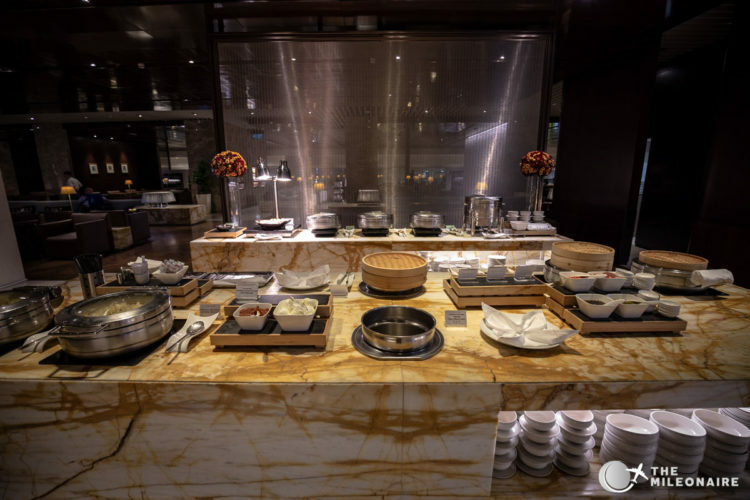 The important thing to remember: even though the name doesn’t imply it, the SilverKris Lounges are in general ‘better’ than the KrisFlyer Gold Lounges. 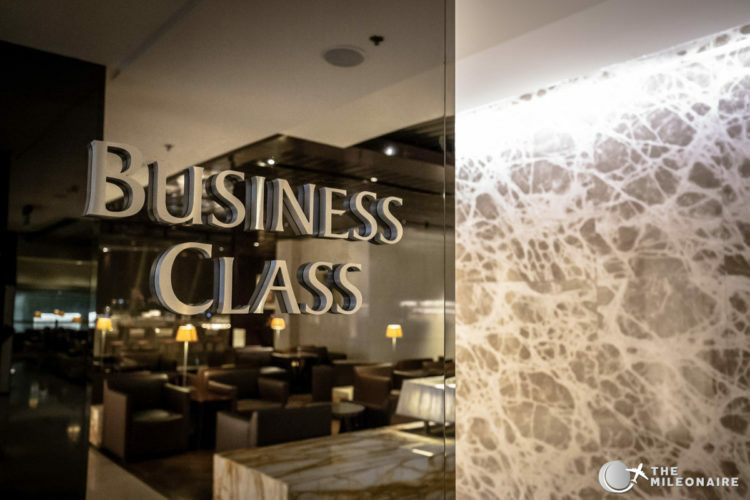 If you’re travelling in Business Class and have a Star Alliance Gold status, you should definitely prefer the SilverKris Lounge I reviewed in this report. The entrance to the SilverKris Business Class Lounge in Singapore! The SilverKris Lounge in Terminal 2 is located airside after security, near the Enchanted Garden. You just have to take the escalator upstairs and follow the signs. 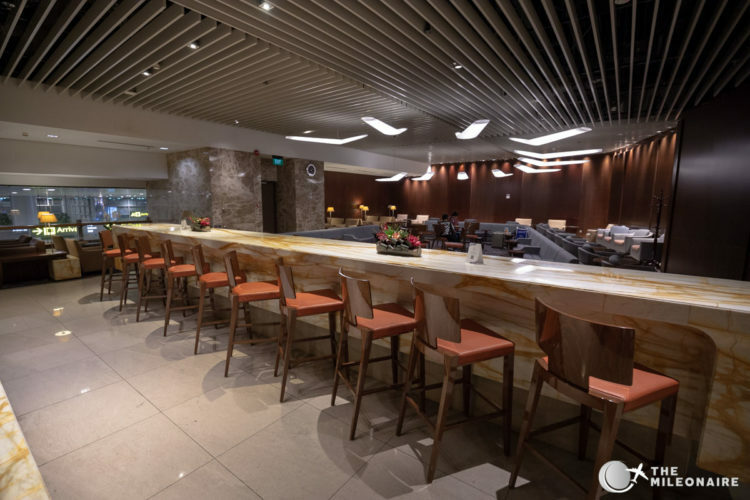 The SilverKris Lounge in Terminal 3 is also located after security: just head towards the escalator to the left and take the escalator to the lounge level. 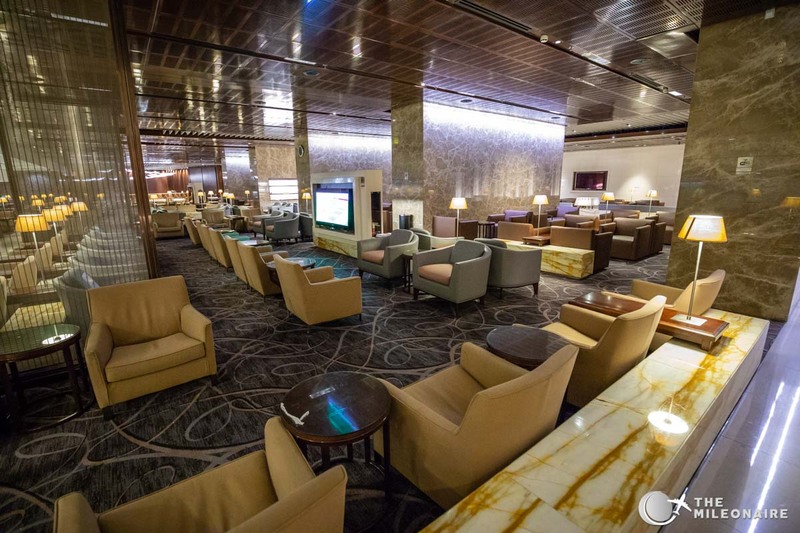 Once you’re there, go past all the other lounges until you reach the SilverKris Lounge all the way in the back. 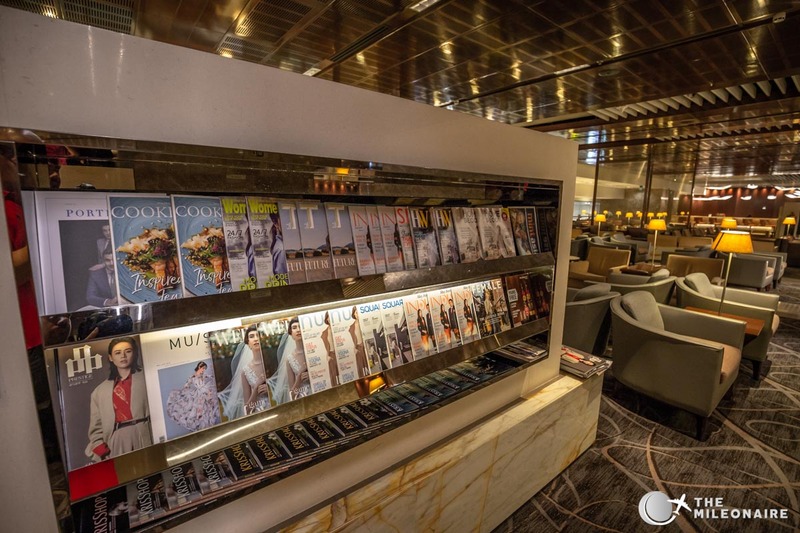 During my visit before my flight to Brisbane I visited the SilverKris Lounge in Terminal 3. My flight already departed at 6:55AM, so I already went to the SilverKris Lounge Singapore at 5AM. 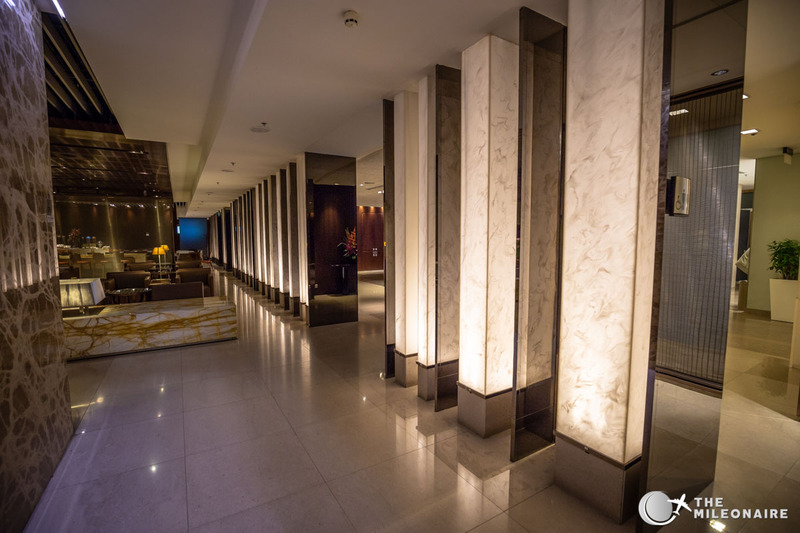 After showing my ticket at one of the two desks at the entrance, I was pleasantly surprised by the nice entrance area with big vertical light elements. 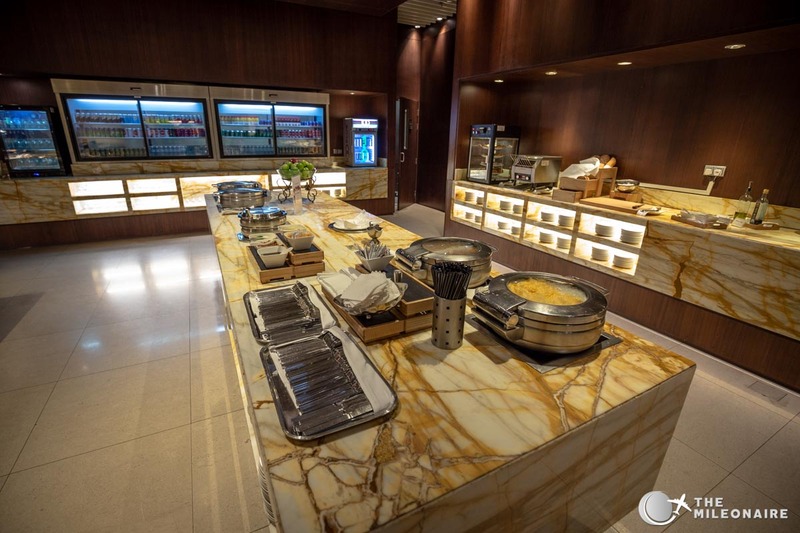 The entrance area of the Singapore Airlines Lounge from inside. 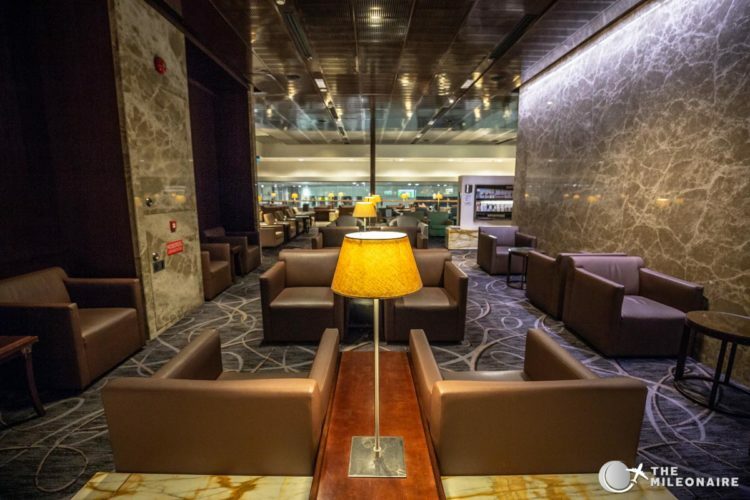 My first impression: the SilverKris Lounge in Singapur has a beautiful interior design marble, dark carpets and bright seats. Despite the lack of natural daylight in most areas, the lighting concept is nicely done as well – mostly via indirect lighting on the walls. 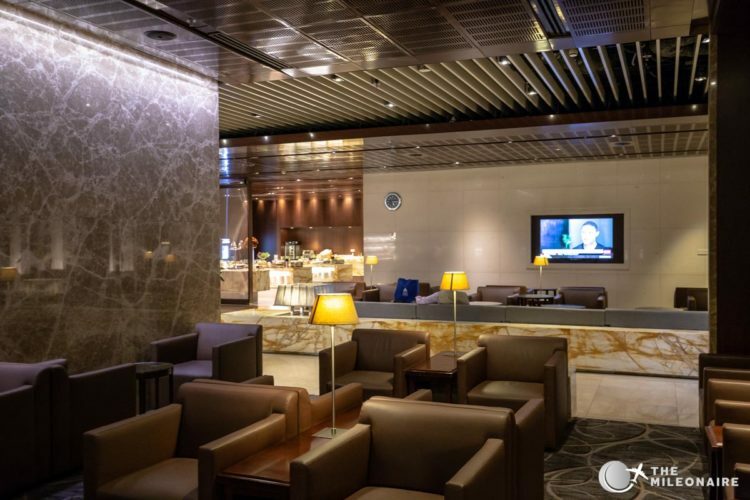 Another impressive element: the sheer size of the Singapore Airlines Lounge. 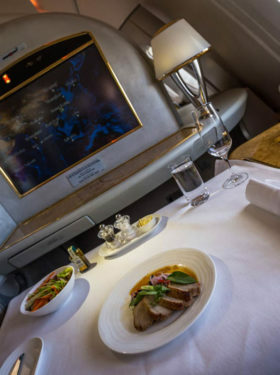 It provides a multitude of seating areas with lots of space for each passenger. There are also TV screens that (quietly) show sports or news programs. 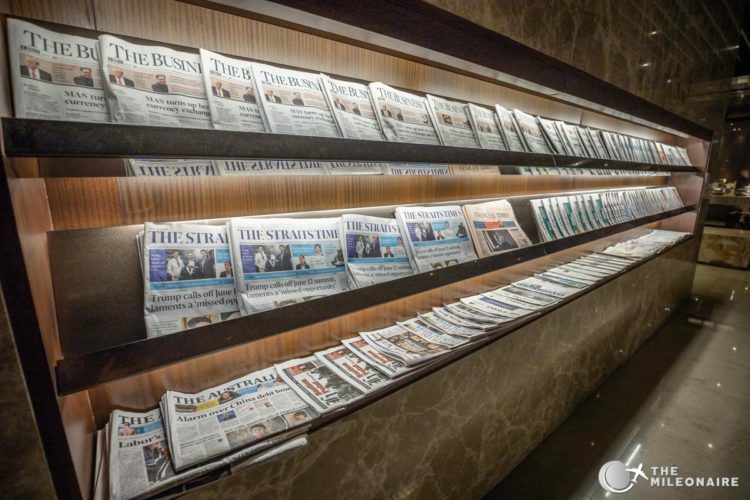 The various newspaper stands are made of the same material, with a more than solid selection of International newspapers. The lounge was quite empty in the early morning, but it might get more crowded throughout the day – despite the lounge’s size. 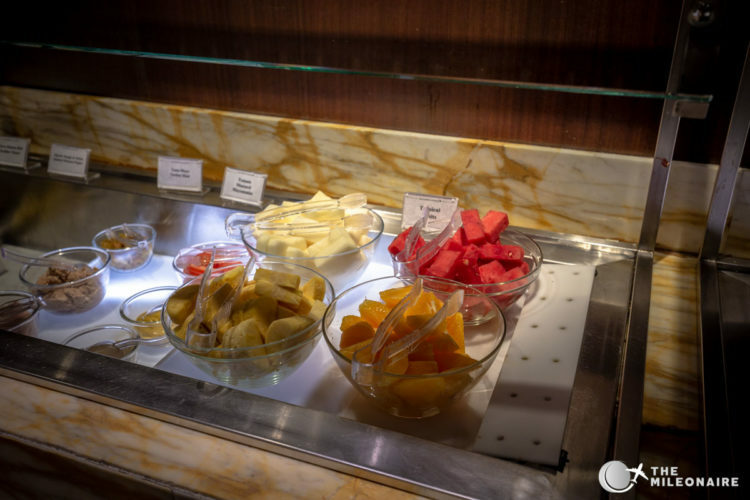 As I haven’t had any breakfast that morning, I checked out the lounge buffet. 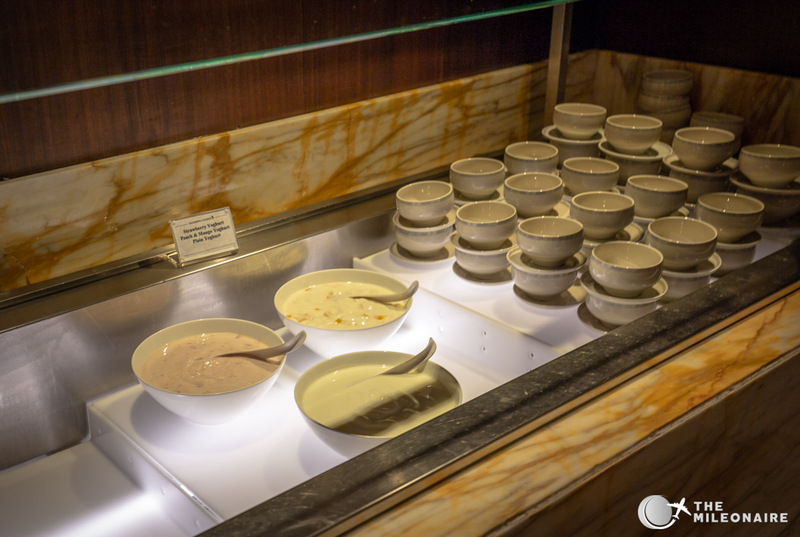 The buffet is presented in a separate area with some dividers and offers quite a big selection. The food buffet in the Singapore Airlines Lounge (Terminal 3). There’s also fresh fruit, yoghurt and more. 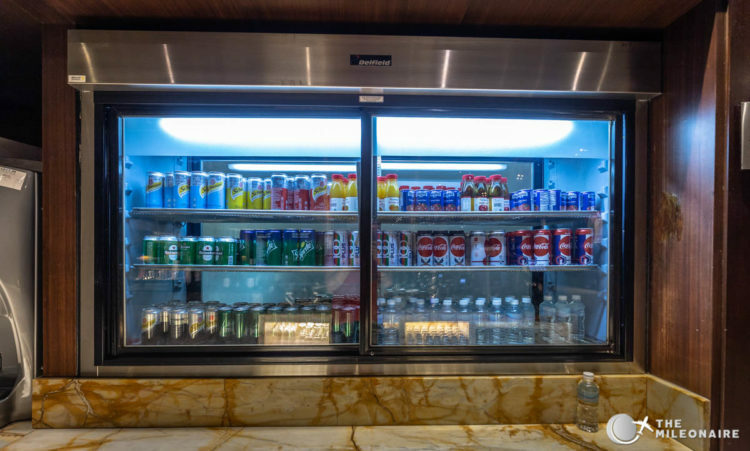 If you’re thirsty, Singapore Airlines has you covered as well: There are multiple areas in the lounge with fridges filled with softdrinks, water or beer, and there’s even beer on tap in the lounge. There are also excellent coffee machines spread throughout the lounge, and lots of interesting tea flavours nearby. Also important: the alcoholic beverages in each lounge! Singapore Airlines offers the excellent Charles Heidsieck Brut Reserve champagne in its SilverKris Lounges, as well as a solid selection of white and red wines. 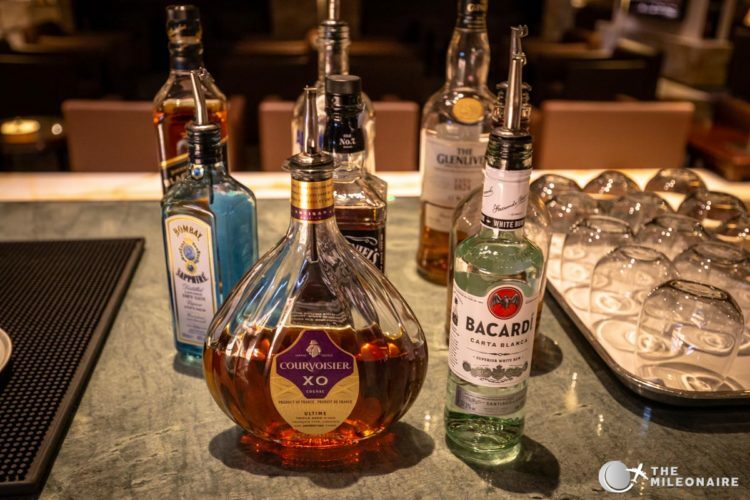 If you’re looking for something stronger, there’s a solid selection of liquors and spirits in the lounge. 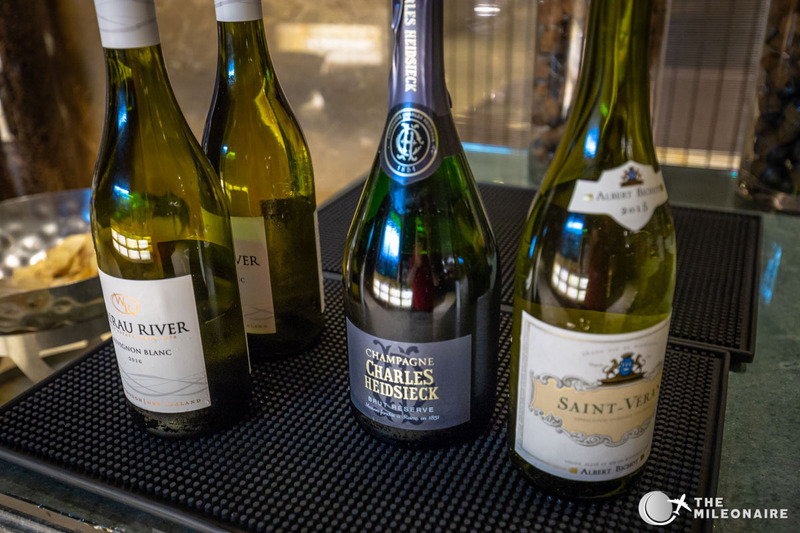 My personal highlights were the Glenlivet and the Courvoisier XO Cognac – but a couple of additional options would have been nice. I grabbed a glass of champagne to start my day and started to do some work in a quiet corner of the lounge, overlooking the terminal below me. Luckily I was in Singapore for vacation, so I didn’t have to use the business center of WiFi that much (both are available). 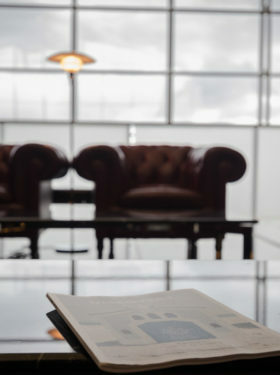 I do want to highlight the helpfulness of the lounge staff though: I needed to print out my rental car voucher last-minute, and I just needed to send them the PDF to get it done in two minutes. 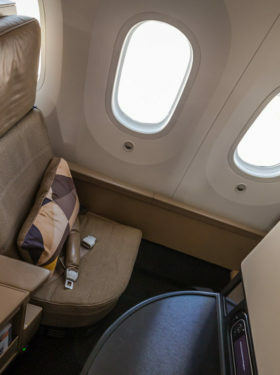 If you’re heading towards the exit, there are also clean showers and toilets (as you would expect from Singapore Airlines). 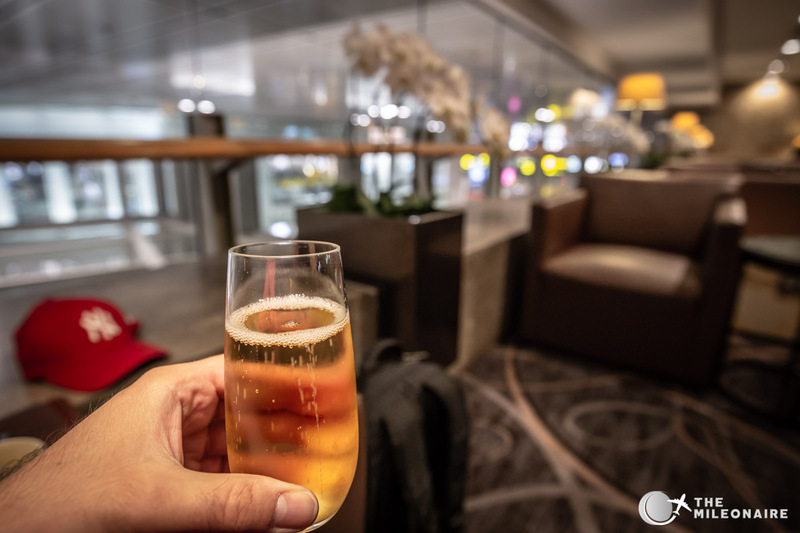 After a little bit over an hour it was time to head to the gate, and my visit to the Singapore Airlines SilverKris Lounge at Changi concluded. Even though the Singapore Airlines Lounge at Changi hasn’t been renewed in a while, it still is a very solid lounge with beautiful details – e.g. a great selection of food and drinks, as well as a nice interior design. It kind of lacked something ‘special’ though which I would have expected for such an awarded airline. 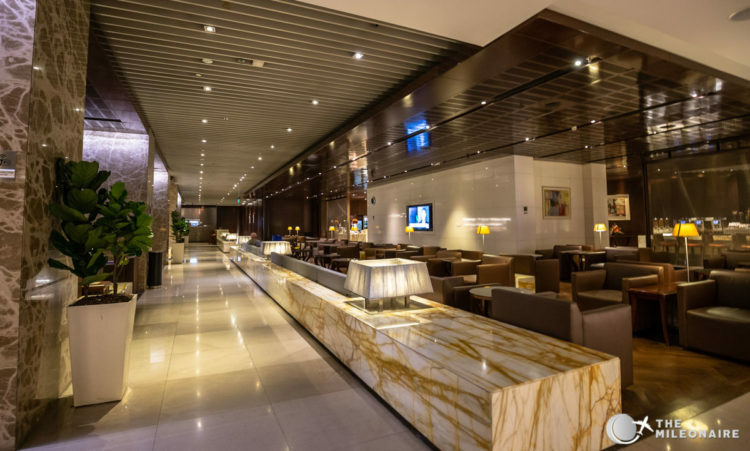 Some other five-star airlines caught up in the last years, and some of them even overtook Singapore Airlines when it comes to lounges on the ground.